Civil War Marine Corp hat device. original unissued surplus slight fading and a few soil spots. I have not tried to clean. A rare, rare item. Civil War Artillery Officers hat device. On a black felt oval background. Perfect, original unused condition. 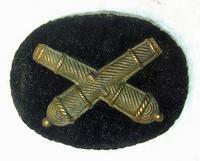 These were sewn on a kepi or slouch hat. Civil War Infantry Officers hat device. On a black felt oval background. Perfect, unused condition. 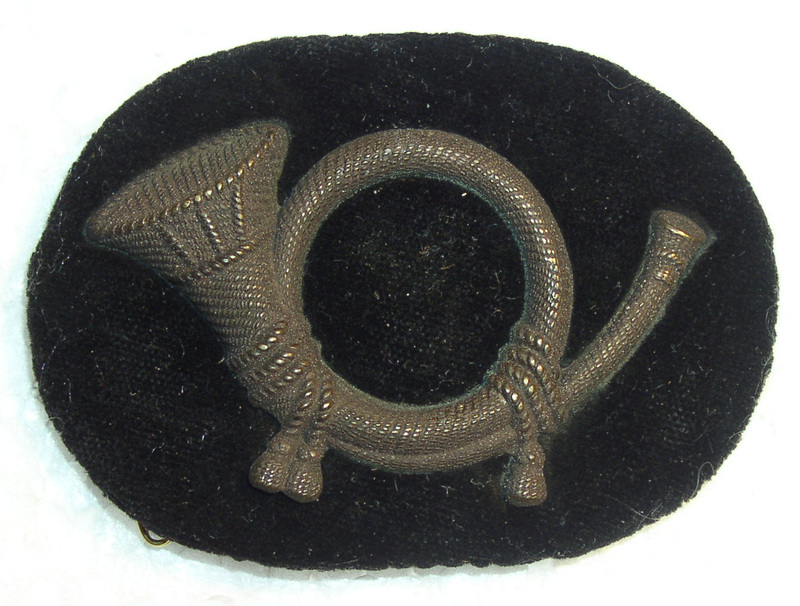 These were sewn on a kepi or slouch hat.